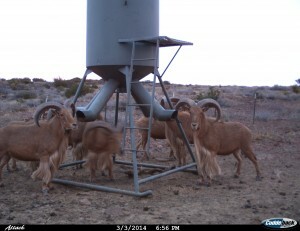 Got Aoudad in your pasture? Ask us about our Aoudad Bars. 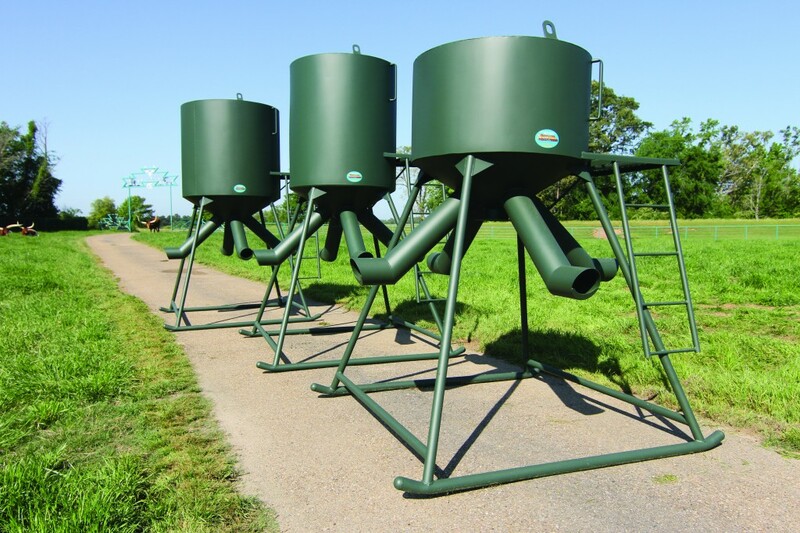 The Regulator has “The Timer” inside the gravity flow system allowing control of the feed amount while maintaining dispensed feed inside the feeder housing and tubes. 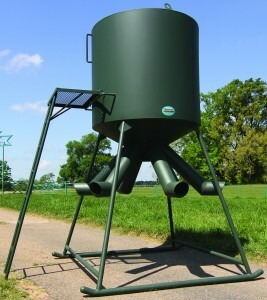 You program to dispense feed up to six times per day at the rate of 2 lbs./second & 360 lbs./day maximum. 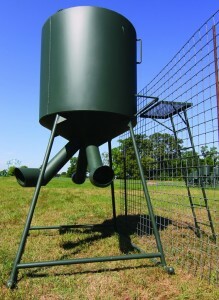 The CP Breeding Pen Feeder is designed to position alongside fence to fill from outside pen. The removable ladder attaches through the fence. 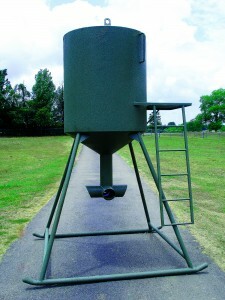 The “Grub-Shak" is an open-trough regulated feeder. 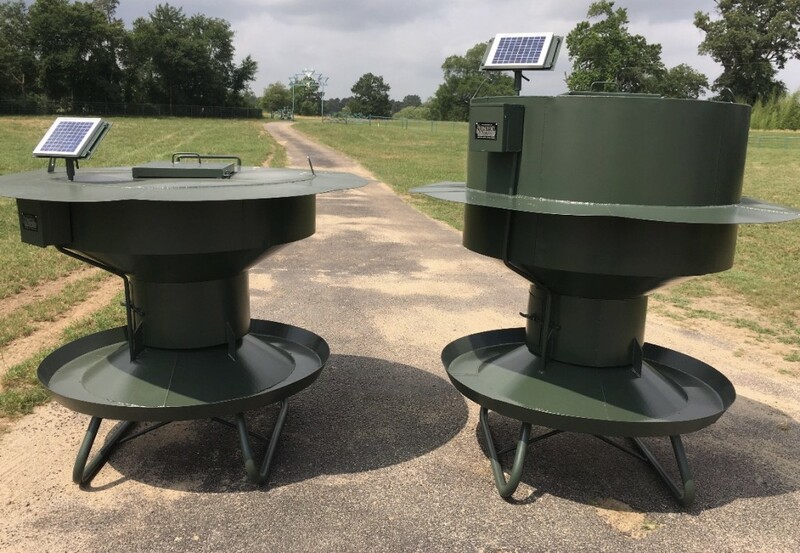 The “Grub-Shak” will feed deer, sheep, goats, horses, cattle, etc. The “Grub-Shak” comes standard with all the ruggedness, reliability and durability that Outback is known for. 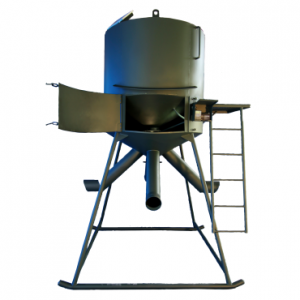 The “Grub-Shak” is available in 1000# and 2000# capacities, at a weight of 530 pounds and 614 pounds. Both models come with our built in rain shield. 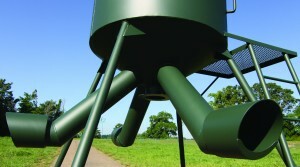 They also come with a removable ladder and platform. 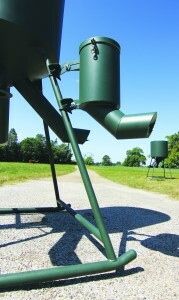 The “Grub-Shak” will evenly deliver feed in our round trough design. Even 3/8″ cattle creep pellets work well. Dispenses 1/2 lbs. per second deer pellets.